Last week representatives from Gateway Casino’s Lett’uce Fill Your Fridge showed up with a donation of 920lbs of food collected from the casino’s staff and customers. Thank you all for your efforts! 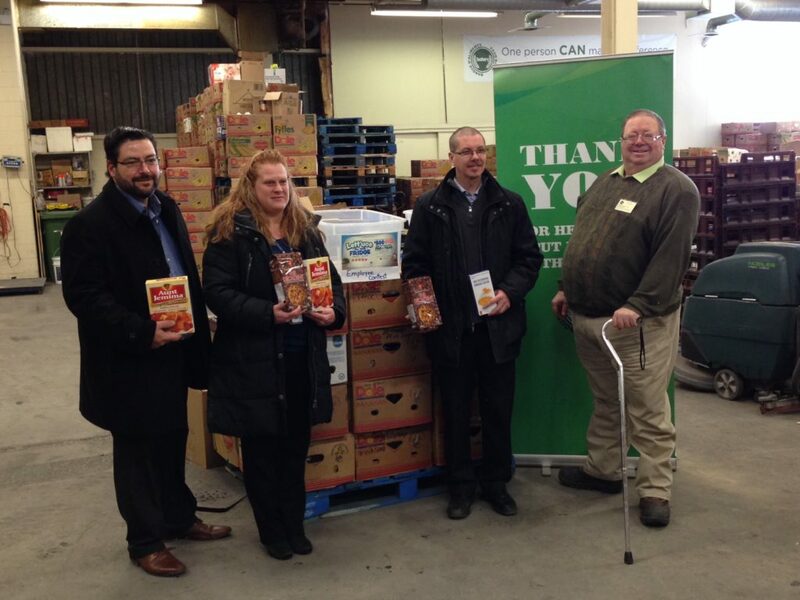 Some members of The Sudbury Real Estate Board stopped by last week and brought with them a wonderful donation. 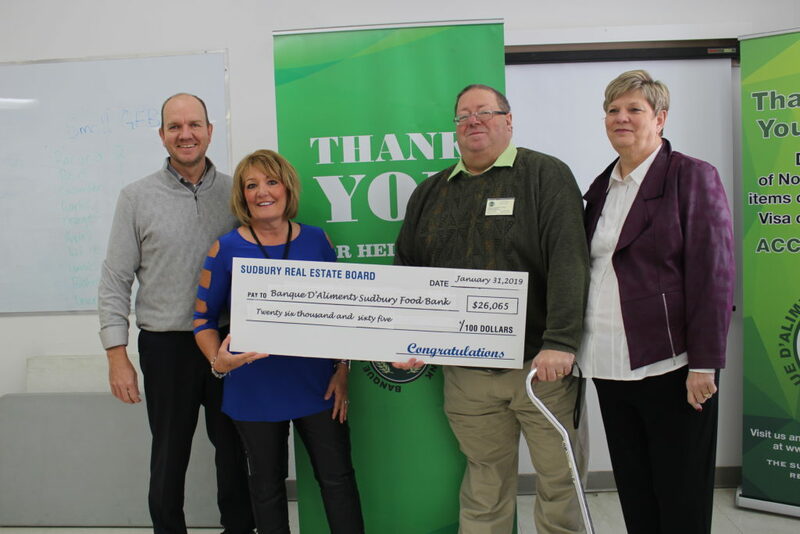 As part of their 2018 Christmas Party the members of the Sudbury Real Estate Board raised $26,065 dollars to help us in our mission to fight hunger in the city and region! Thank you to all their members, volunteers, and to their organizing committee for this tremendous donation! 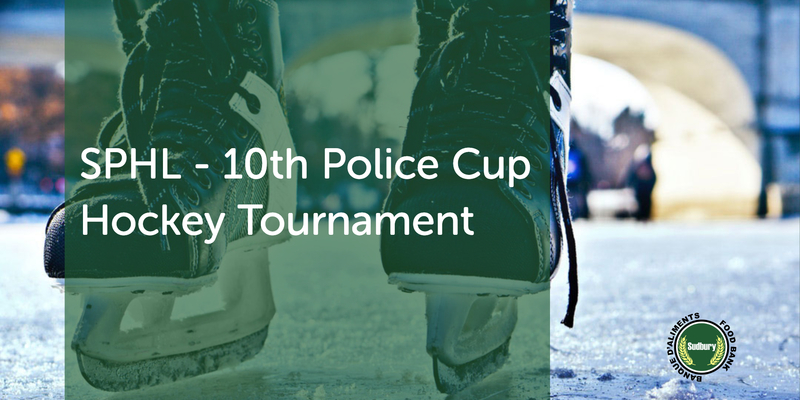 This Friday, January 11th, marks the start of the Sudbury Playground Hockey League’s 10th Annual Police Hockey Cup. Part of the tournament includes each team collecting donations for the Banque d’aliments Sudbury Food Bank. We want to thank the SPHL, The Greater Sudbury Police, and all the participating teams and their supporters for keeping this great tradition going for a 10th year. Good luck to everyone this weekend.